Jennie Durant holds an M.F.A. in Writing from Saint Mary’s College of California and specializes in both fiction and nonfiction. Jennie has taught literature, creative writing,and composition in universities such as U.C. Berkeley in California; Metropolitan State University in Denver, Colorado; and Suleyman Demirel University in Isparta, Turkey. A California native, Jennie has lived and traveled around the world, hiking 1000 miles of the Pacific Crest trail, raising bees, and volunteering on an organic farm in the Philippines. In 2007, she returned to the Philippines for a fourth time to live in the rice terraces as a Fulbright scholar and work on a nonfiction travel narrative. In 2008, Jennie appeared in Oprah Magazine as one of 80 Women Rule! participants, and she was recently chosen as one of Saint Mary’s College’s 40 most influential female graduates. 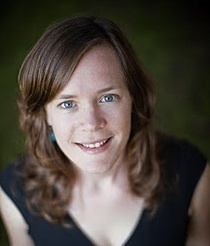 In December 2010, Jennie returned from living abroad in Turkey and Italy and now teaches creative writing and composition at Saint Mary's College and UC Berkeley. Here are photos of a variety of our activities, academic and social.